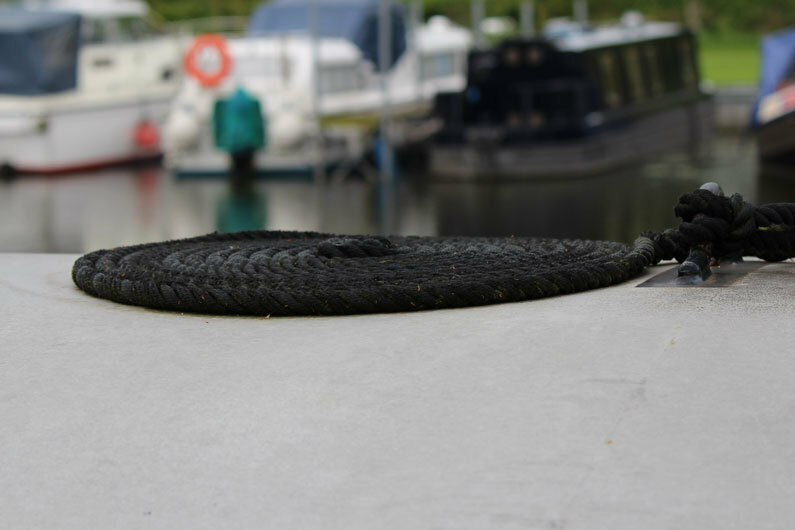 Guide To Narrowboat Ropes & Lines | What Rope Should You Use On A Narrow Boat? When does a rope become a line? 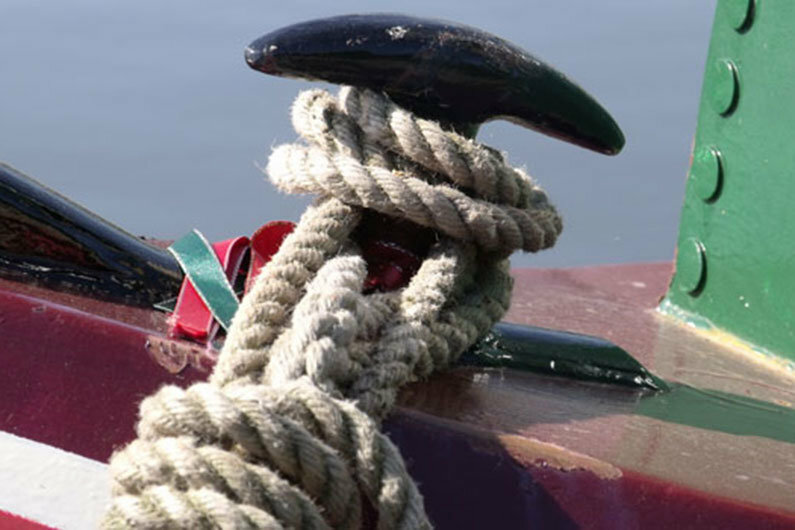 Discover the difference and types of rope used for different functions aboard a narrow boat. Technically a rope is the material you buy from the chandlery off the coil. Once you’ve made it into something of use, in nautical terms, it becomes a line. There are various type of rope available, made from various thicknesses. What you use is a matter of personal preference and there is as much choice on the market as you can think of possible uses. 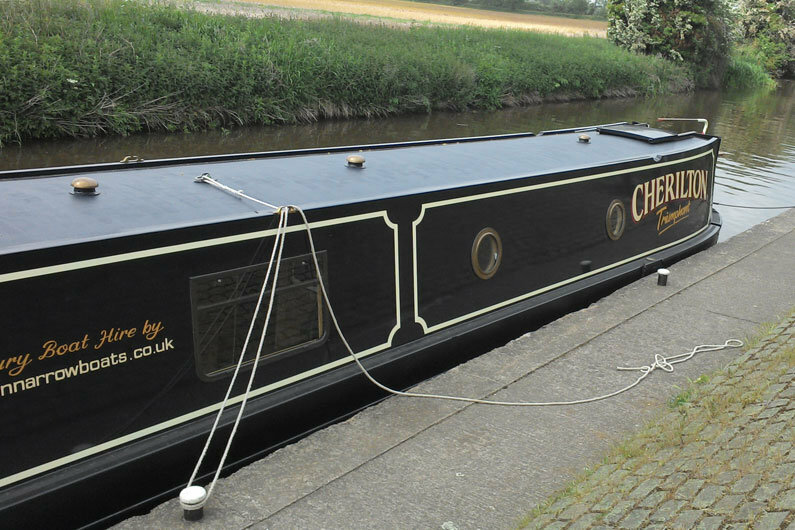 Commonly narrowboat mooring lines are synthetic hemp or multi-filament polypropylene. Hemp is a natural fibre and is a good choice for mooring ropes as it does not become hard when it gets wet. It does need to be rot proof if you decide you want to use traditional materials. Natural fibers have a limited life and will rot if not cared for or put away wet. Multi-filament polypropylene is a synthetic rope whose look and feel mirrors hemp. It is smooth and glossy and looks and feels nice. Due to this texture, it can be difficult to finish the ends by splicing. Synthetic hemp is made from polypropylene and probably the best choice for most narrow boaters. It is smooth, hard wearing, floats and is light. When sizing rope for mooring lines always add a bit on for splicing, or chopping the end off when you make a mess of the splice. Practices makes perfect. Splicing is used not only to neatly finish the end of the line, it is way stronger than a knot. Splicing is essentially the process of joining pieces of rope by interweaving strands. Splicing does not weaken the line as the join or repair is made in the same way the rope was originally formed. A rope can be spliced on to an iron ring making a more permanent fixing and can help prevent theft. A line will always break at its weakest point and a knot to make a loop or join puts strain on the line. It can be up to 40% weaker than a splice. Coil your lines neatly as soon as you have used them. They will last longer and can be deployed quicker and safer in an emergency. Lines left in a heap can become tangled and cannot be deployed quickly when needed; in an emergency every second will count. Use centre lines if you wish. If you have no attachment points for centre lines on your boat, have an engineer weld a strong metal hoop or such like, central on the roof at the pivot point of the boat. Attach two long lines and run them backwards to the stern, one down the port roof gutter & one down the starboard side. Coil them neatly on the roof. They are invaluable for mooring assistance and essential for safety in deep locks. Many lock keepers at manned electric locks will insist on you passing them a line for safety. A centre line is really the only safe option. An advisable length for centre lines is 15m to 20m each. if you only have one it’s better than none, just two make it easier when deploying to either port or starboard, especially if you have equipment on the roof or a roof garden! Throwing lines can be made for attaching to centre lines in order to assist deployment of lines in deep locks.